Construction of the Celebrity Solstice in dry dock. Dry dock number II at Meyer Werft. The propulsion systems for the Solstice are based on diesel and electric systems. The keel being laid for the new Solstice-class, Celebrity Solstice. The new Solstice-class will be the largest in the fleet, larger than the previous Millennium class. The Celebrity Solstice will be Celebrity Cruise’s first post-Panamax vessel and the first of four new Solstice-class vessels being built by Meyer Werft of Germany.Ordered in summer 2005, the Solstice is due to be launched in October 2008. The gross registered tonnage will be 122,000t and the ship will accommodate 2,850 passengers in 1,425 staterooms. The ship, which features ‘larger-than-usual standard balconies’, is set to become the biggest in the fleet. The ship will be 1,033ft (315m) in length and 121ft (36.8m) in width, and will offer larger standard staterooms, 90% of which will be outside, with 85% featuring balconies.Celebrity estimates the all-in cost of the ship to be approximately $280,000 per berth, which equates to an estimated cost of $400m. 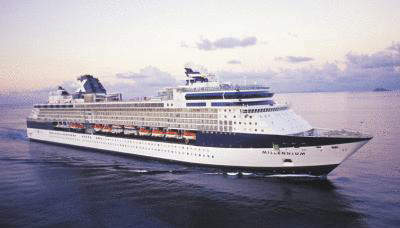 The Celebrity Solstice will be inaugurated in the third quarter of 2008 followed by the Celebrity Equinox in summer 2009, Celebrity Eclipse in summer 2010 and the fourth Solstice-class vessel (as yet unnamed) in autumn 2011 – bringing Celebrity’s total fleet to 11 ships. 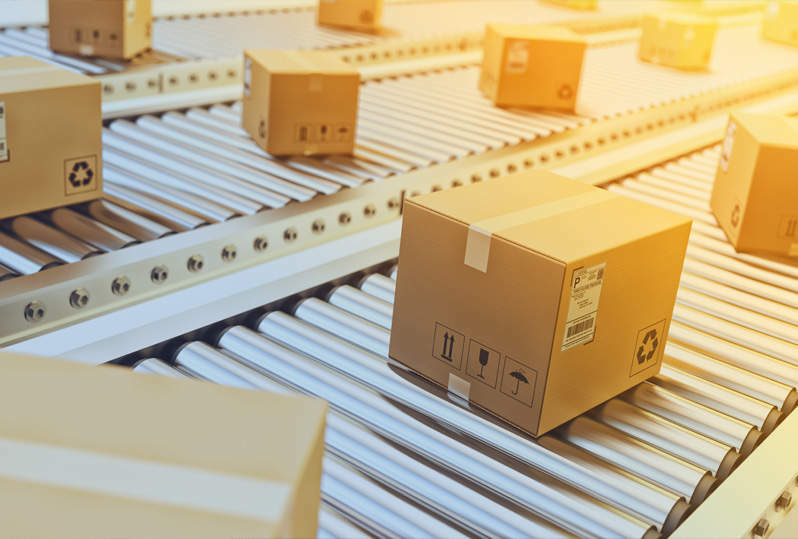 The Celebrity Solstice will feature a host of technical innovations, especially in the field of new energy saving solutions, and will be built in compliance with the latest stability rules which will take effect in 2009. 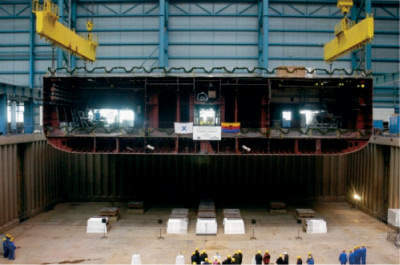 In October 2006, construction began with the cutting of the first metal plate for the ship. The vessels will be powered with diesel engines and pod propulsion systems. 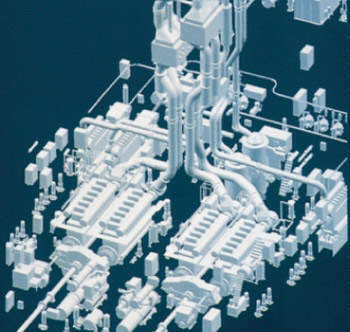 The overall output of the engines will be 67,200kW (approximately 90,100hp). The ship will be designed to make 24kt while cruising. 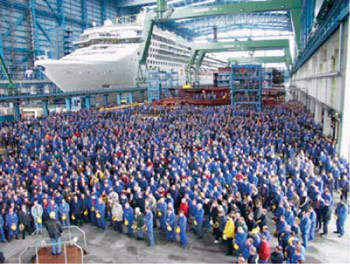 In March 2007 the first of 72 blocks of the new vessel was laid in dry dock at Meyer Werft in Papenburg. 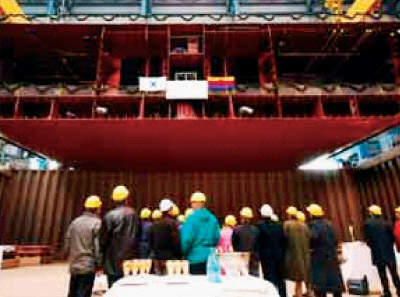 Dan Hanrahan, president of Celebrity Cruises, put the ‘lucky coins’ on the keel blocks (the keel itself weighs 600t) before the first block of the new ship was put in position by the yard’s 800t crane. The first block weighed more than 430t, was 16m long, 36.8m wide and 8m high. Celebrity Cruises are well known for their service and facilities across their entire fleet. Facilities include sushi cafes and pasta/pizza bars, jogging track, golf simulator, fitness centre, sunset yoga, Acupuncture at Sea, HighSeas Computing, Elemis AquaSpa, pilates classes and a number of swimming pools and jacuzzis. The ‘tastes of luxury’ offered on every ship include chilled towels upon return from shore excursions, fresh sorbet served poolside, sunset sailaways with live music on the aft deck, elegant tea service, 24-hour butler service in every suite, advice from highly trained sommeliers, and the expert services of Les Clefs d’Or concierges.